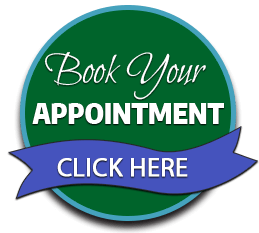 Acupuncture in Woburn, MA: Michael Pendolino, DC is a chiropractor in Woburn that has an acupuncturist on staff who provides acupuncture and acupressure to a number of his patients depending on their particular needs. Acupuncture is a type of therapy derived from ancient Chinese medicine that involves inserting a number of fine needles into a patient’s skin at certain points. At North Shore Spine & Rehab, acupuncture is helpful for both therapeutic and preventative purposes and is used to treat a wide variety of conditions. The basis behind acupuncture is that the healthy functioning of the body is controlled through a system of channels under the skin by the flow of “qi” (pronounced “chee”). Qi can be also be translated as “energy”. When qi flow is blocked or weakened, it can lead to pain, illness or other conditions occurring within the body. Acupuncture stimulates both sensory nerves under the skin and the body’s muscles. The stimulation allows the body to produce natural pain-relieving endorphins. These naturally-released endorphins are the substances most responsible for the beneficial effects of acupuncture. At your first session, the acupuncturist at North Shore Spine & Rehab will provide an assessment of a patient’s general health, perform a physical examination and ask about the patient’s medical history. Once this is completed, the acupuncture therapy will begin. The acupuncturist at our Woburn clinic will insert sterilized acupuncture needles along the body’s different acupuncture points based on the patient’s condition. The patient will usually be asked to lie down or sit during a session. A patient should always be aware of what they wear to an acupuncture session as the acupuncturist may ask you to roll up or remove layers of clothing in order to place these needles in certain areas of your body. Depending on the session, acupuncture needles may be inserted just under the skin or deeper in order to reach muscle tissue. All needles used during a session are in sealed, sterile packaging which is opened in front of the patient. Once all of the needles are in place, they may be left in for a time period ranging a few minutes to close to 30 minutes. During the sessions, patients may feel a dull ache or a tingling sensation during needle insertion but should not experience any large amount of pain. If a patient does, the acupuncturist should be made aware of it right away. Once the session is complete, the needles are removed and disposed of accordingly.